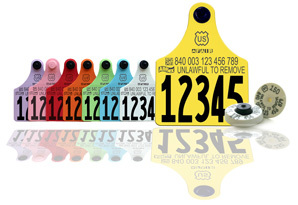 Complete the form below to order official inventory ear tags from Holstein Association USA. New customers will need a Holstein USA account number before the order can be processed. By submitting this form new official 840 numbers will be assigned to your requested tags. Please allow 3-4 weeks for delivery. If you are a returning customer, please indicate yes or no if your order has changed from what you normally order. If you are a new customer please set all values to no.